Skimmers are designed to eliminate water quality problems and reduce maintenance by removing debris before it sinks to the bottom of the pond, allowing a pond to be installed anywhere, even beneath trees. Because the skimmer removes debris before it gets to the pump, it acts as a pre-filter reducing pump maintenance, and makes accessing the pump quick and easy! 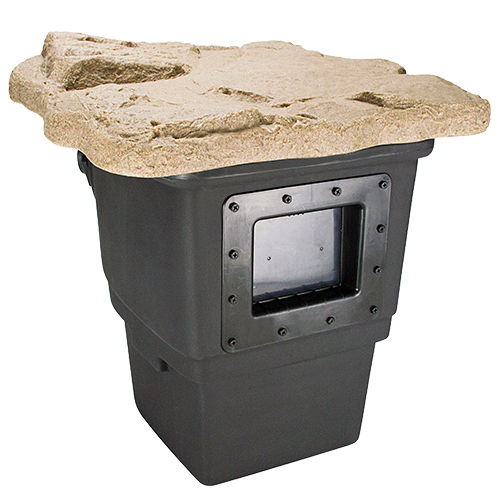 Includes: Leaf & Debris Rigid Basket, Overflow Kit, Filter Mat and Faux Rock Lid.